A new residential development company called Lacey Group has been launched on the Gold Coast with a $90 million pipeline of new projects to be rolled out over the coming 12 months. The company is based Oracle Broadbeach and was created by developer Adam Lacey, an entrepreneurial spirit who was named in BRW's prestigious 'fast 100' list in 2014. Mr Lacey is from rich development pedigree - his late father, Peter Lacey was a prominent figure on the Gold Coast property scene in the 1980s and 1990s. "Lacey Group will allow me to focus on developing apartments and homes, with the cornerstones of design quality and innovation, which allow residents to put the emphasis on lifestyle," Mr Lacey said. The company is currently putting the finishing touches on its first project - an apartment development in Upper Mount Gravatt to be released this month, and two other Queensland projects which will be brought to market by the end of 2017. "The project we are about to launch will be a showcase of the direction I want to take with Lacey Group - and that is delivering apartments and homes that offer good design outcomes in strategic growth and lifestyle precincts," Mr Lacey said. "The area is underpinned by an established mix of amenities, including Westfield Garden City and Griffith University's Mount Gravatt and Nathan campuses, and its ease of accessibility to the motorway and public transport. "It will offer buyers the chance to secure an apartment that stands apart from those currently available and allow savvy buyers to get in at the start, and benefit from, the area's rejuvenation. "Mr Lacey said the the focus of Lacey Group is to develop quality, boutique projects in the south east Queensland corridor to meet the region's rapid growth, with strong demand from both the owner-occupier and investor markets. 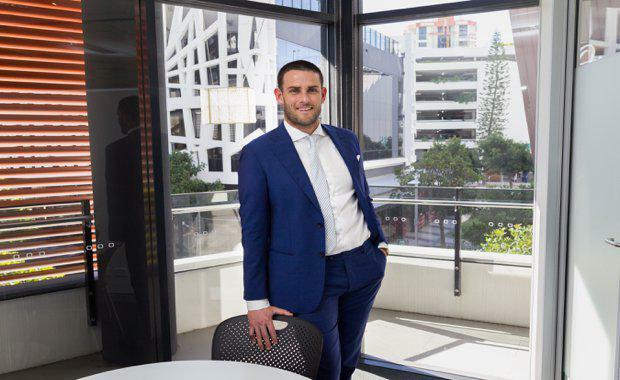 Mr Lacey already has a string of highly successful projects in south east Queensland to his name, working for Sunland for three years before becoming a co-founder of residential development company, Onyx Property Group.